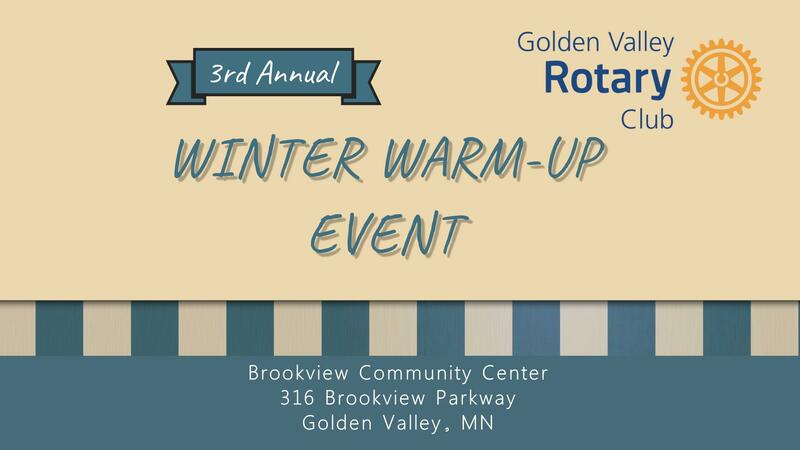 Golden Valley Rotary's 3rd Annual Winter Warm-Up! Fundraiser to benefit service organizations that impact lives in our community. Warm up with food/beverage, music, and fun activities. Food, Carnival Games, Live Music, Face Painting, 50/50 Raffle, Wine Wall, and Dine 'n Dash Gift Cards! Kids are welcome! Kids age 12 years and under are FREE. Featuring Doug Otto and the Getaways http://www.dougottoandthegetaways.com/ The well oiled machine that is Doug Otto and the Getaways have been likened to the timeless sounds of Robert Johnson, Waylon Jennings, Hank Williams, Muddy Waters, and Buddy Guy. Doug Otto and the Getaways are known for playing the classic country and blues music of the old greats as well as their own compositions.